We are a family-owned and operated company, where excellent craftsmanship, great attention to every detail in our work and honest advice to the customer are all part of our identity. 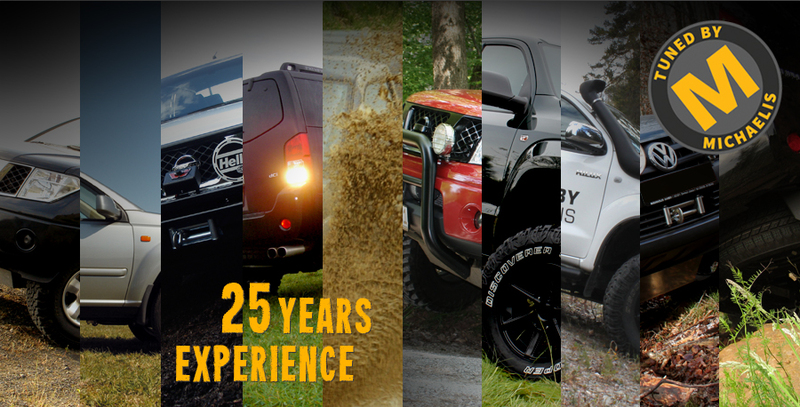 Our Senior-Owner PETER MICHAELIS and his fellow mechanics have many years of hands-on experience in the tuning, repairing and conversion of various 4X4 models. Individuality belongs to our trademark. The MICHAELIS TUNED OFF-ROAD delivers superior results, more ground clearance, more power, protection and traction,…AND MUCH MORE FUN ! All the parts and programs are available: for NISSAN, FORD, TOYOTA, VW and ISUZU. We will find the best solutions for your car ! Just give Peter a call, or send him an e-mail. We are certified DIN EN ISO 9001 since 2001.